If you have one or more kids at your home and they are using the weighted blankets, then you can make DIY weighted vest at your home. It is definitely the best alternative to provide your little one some proprioceptive sensory input. These weighted vests are just like the weighted blankets but they are quite expensive at the shops. This is why it is crucial to make a weighted vest at your home just within your budget. Before starting this DIY project of making the weighted vest for your son or daughter at your home, first of all, you need to have the overall plan. If it is your first time to try this project, it is highly recommended to not trying the fancy patterns to trace or print. You just take the plain cloth and take enough measurement. Then, you have to cut 10 rectangles and do piecing everything together. The mothers can easily cut all these rectangles from 2 yards of 40 inches wide fabric which should be denim cloth or canvas to get sturdy results. The following are the list of cuts you should do. You have to cut a piece of fabric of about 9 x 40 inches, then you have to sew 1/4 inch to ½ inch seam on 3 sides and turn inside out. Now, you can have a pillow case and it has to be at least 8 inches wide. If it is narrow, you can also sew your seams far from the edges. In order to stitch the weighted vest at your home, first of all you have to make the bottom pocket. For this bottom piece, you have to cut the 9 – 12 inches x 8 – 1/4 inches piece of fabric. Then, you have to fold & iron 3/4 inches folds in order to make the 8 inch x 6 – 3/4 inches rectangle. After this step, you should sew one of these 8 inch edges. In the next step, you have to sew on the bottom pocket of your pillow or shell case. It is important to remember that you should sew on only 3 sides. After that, it is essential to make the top pocket with the number of pieces and sew on them. On all the upper and bottom sides of the pockets, you should need to stick the hook Velcro. You can use the pins to make your desired location in order to make the perfect stitches without any dislocation. After that, you have to make two shoulder straps for your weighted vest by perfectly measuring the shoulder angle. 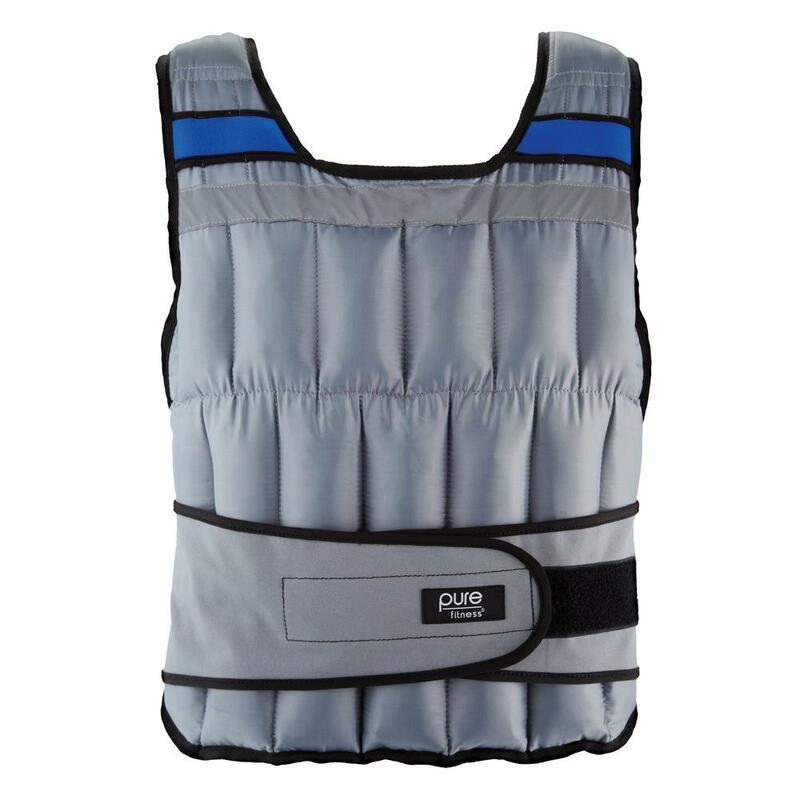 These vests are wonderful for increasing strength as well as overall fitness levels. They can be used by bodybuilders, powerlifters or just anyone looking to get in shape.